I have had an absolutely hectic week between interviews, getting ready for school and work, that I haven’t had much time to update this week. Consequently, this post will be a short one. Last week, I was fortunate enough to go out and get my nails done with my best friend for her belated birthday. She just got back from studying abroad for a year and needless to say, we were long overdue for a girl’s evening out. Since I work at a coffee shop, it’s super hard to ever look nice or get my nails done. This time I decided to be a bit rebellious and get them done with gelish. Granted, I have to wear gloves at work but oh well! If you’ve never gotten a gelish manicure, then you really should next time you get to go out and do your nails at a salon! There were A LOT of times I didn’t wear gloves at work, and my nails (a week and a half later) still look absolutely AMAZING. Super shiny, no chips. Extremely durable. My job is super demanding and my hands are constantly also being washed. 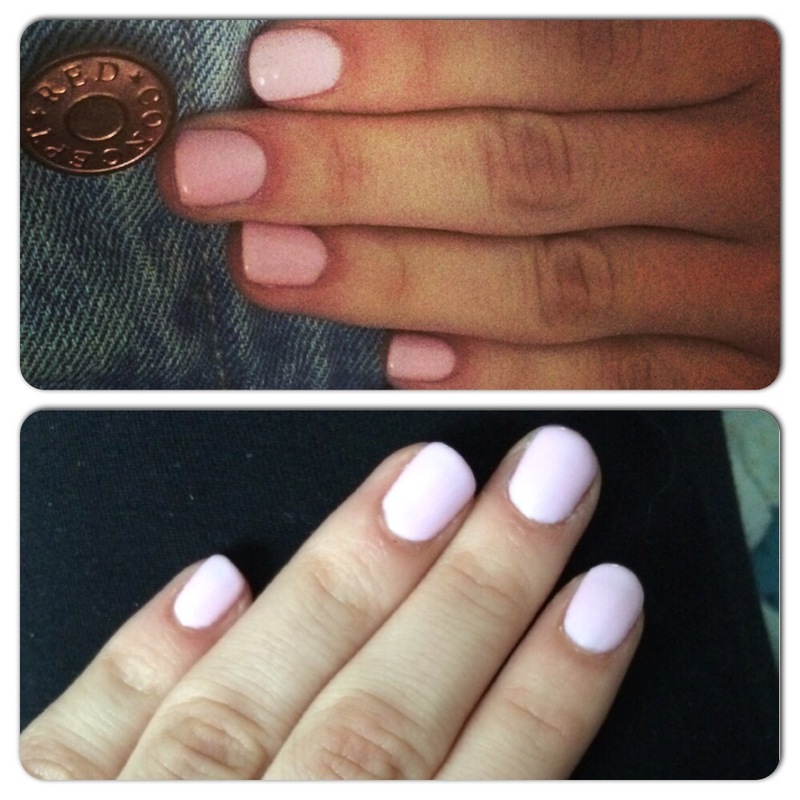 So seeing that this manicure didn’t budge was proving that gel nails really are the real deal. I decided to go with a baby pink because it was subtle enough yet it compliments my fair skin tone. I absolutely love it. When I’m in school again, I will most definitely be getting my nails done more often. Any colour suggestions for next time? Specifically for fair skin/summer time? 🙂 if you’ve had a negative experience with gelish, leave a comment below 🙂 id love to hear what happened – it happens to the best of us.